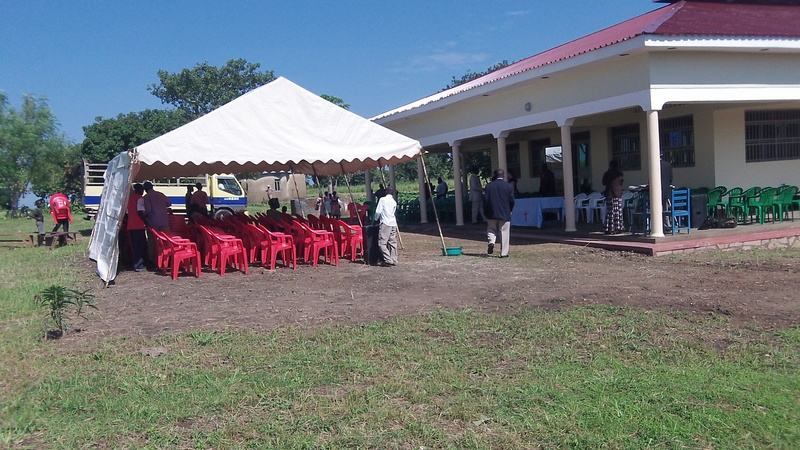 Dedication of the RAU Guesthouse/Hall of Tyrannus and 17 acres. 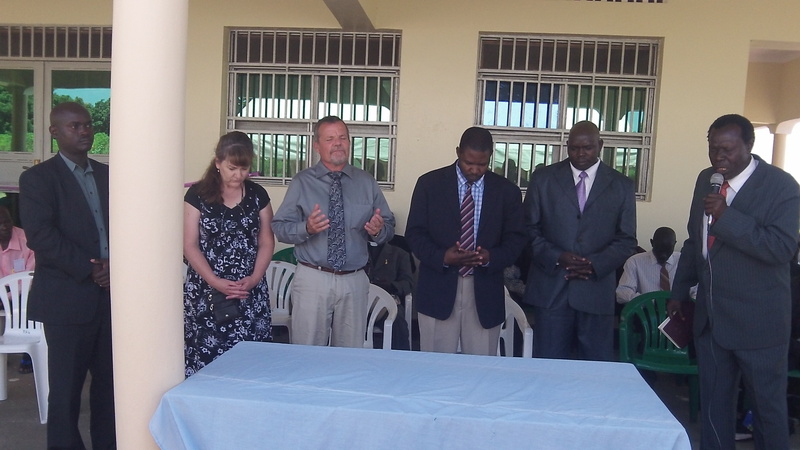 On August 10, 2013 the RAU Guesthouse/Hall of Tyrannus and 17 acre compound was officially and publicly dedicated to our our Lord,God,and King. 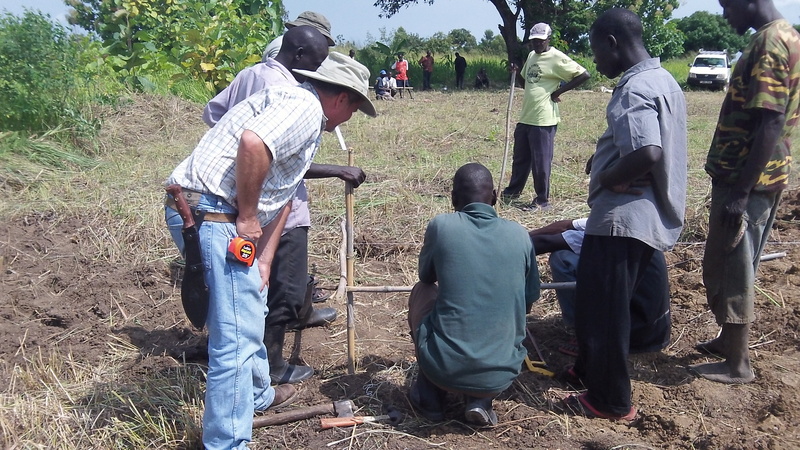 It had been 2 years since we had broken ground and 31 months since the land was purchased. It was a good time ,great weather in the midst of the rainiest month of the year, lots of praise, lots of thanksgiving, lots of prayer, and a lot of speeches. 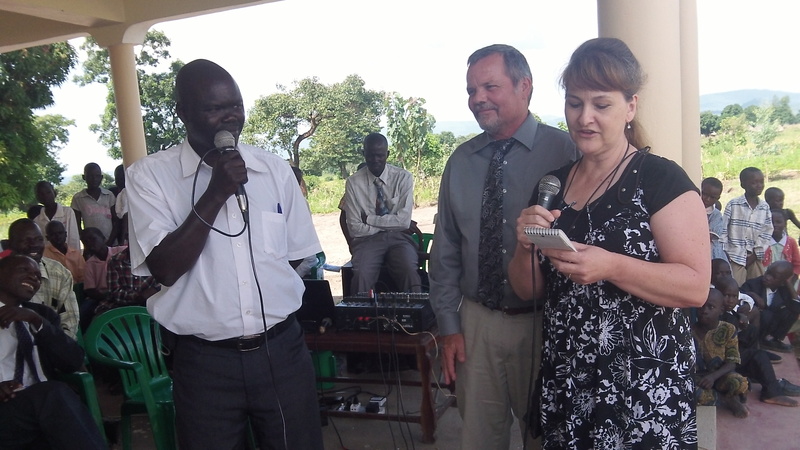 The Member of Parliament for West Moyo District was the last to speak right after Carol and me. He cut a ribbon across the door and officially opened it with much shouting and praise from all the people! A warm welcome was given from the ladies! This land’s strategic location will enhance R.A.U.’s ability to bring in pastors, church leaders, church planters, and evangelists for retreats/conferences for Biblical encouragement with the expressed purpose that local congregations will be strengthened and become multiplying congregations. (See 2 Timothy 2:2 & Acts:19:9b-10). The R.A.U. 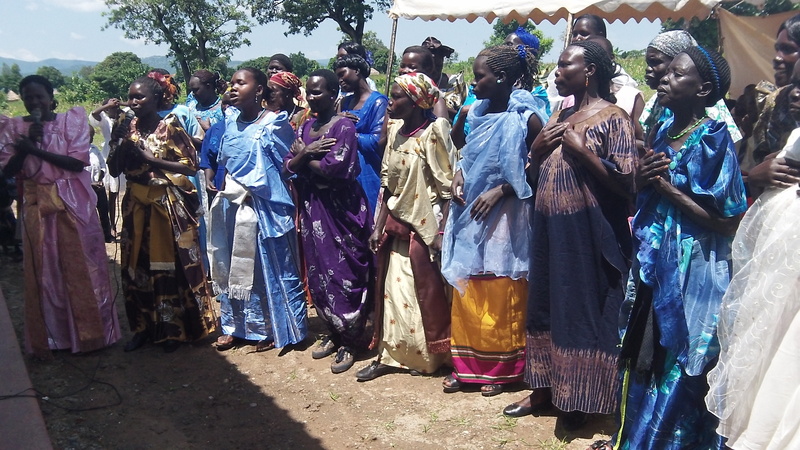 compound will also serve as a base of operations to launch such conferences throughout North Uganda, South Sudan, Northeast Democratic Republic of Congo, and Lord willing further North so that the unreached and unengaged peoples in these regions will be reached with the glorious gospel. All that we have and all that we do is in Your hands oh Lord! 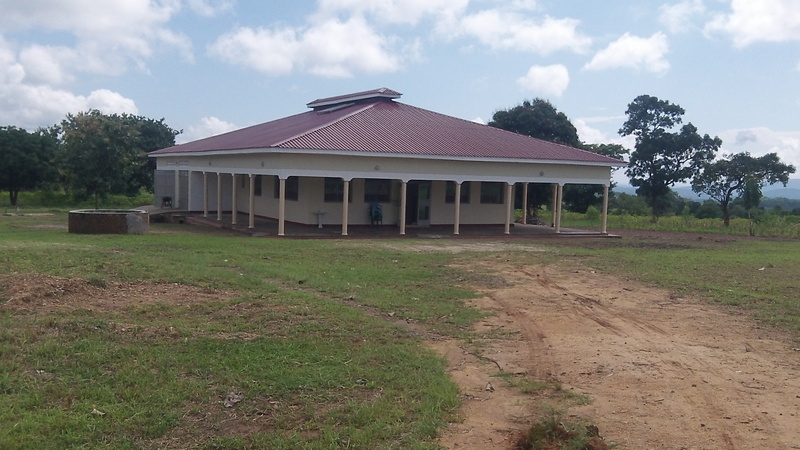 Furthermore, as the Lord provides, the 17 acres gives opportunity to have a Medical/Dental Clinic, Orphan Care Center, Christian Primary and Secondary School for children, and a Vocational Training Center for adults with Micro-Finance opportunities. 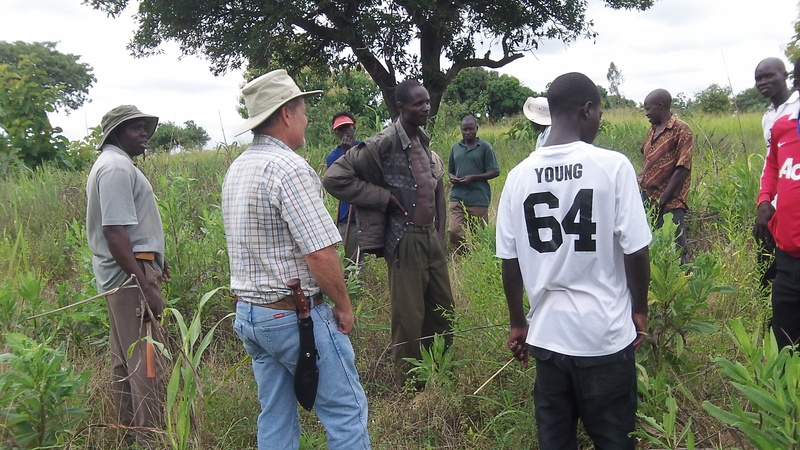 We are currently planting numerous fruit bearing trees (mainly Mango and Orange trees) on the 17 acres which would bring in a future income to supplement our ministry efforts. Carol and I shared our hearts and vision with the people. Our first goal was to complete the R.A.U. Guesthouse/Hall of Tyrannus. The Guesthouse is where Carol and I are making our home. Our personal residence is the back bedroom. The other rooms will be for ministry teams and at other times for groups of pastors/church leaders/evangelists, and church planters which will come for several weeks at a time for Biblical training and encouragement. With triple bunkers we will be able to sleep many. We are also at work renovating four tukaloos which can serve as additional sleeping quarters. The large front room in the Guesthouse is our teaching Hall, aka “The Hall of Tyrannus” (see Acts 19:8-10). Thank you to all who helped and prayed to get us to this point. 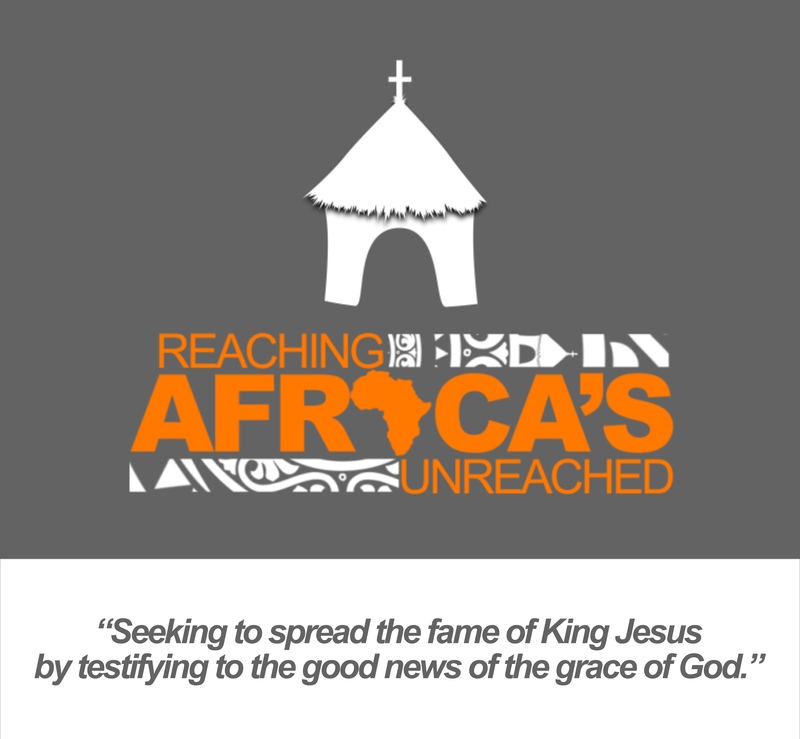 We pray that the Lord will use these facilities and us to spread the fame of King Jesus in this part of Africa! Our Lord is worthy of all worship and praise! Thank you!! I wish you and all our “American” friends could have been with us too. 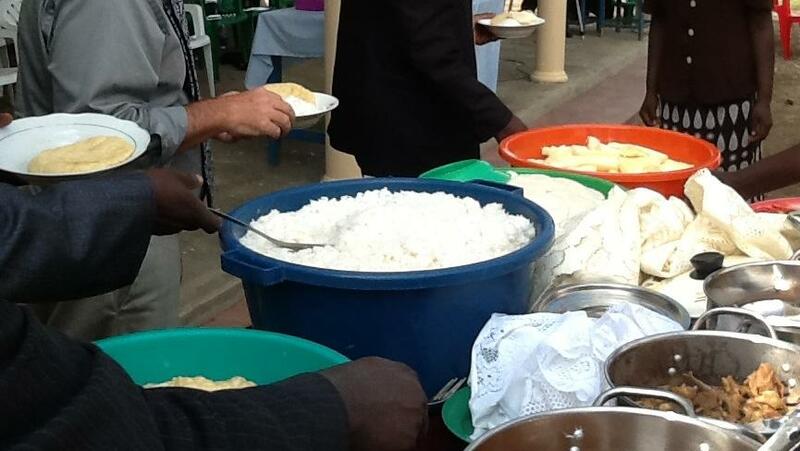 The Lord has poured out His blessings in such an abundant manner. We are praying that we all will remain faithful in the calling the Lord has given to us. I, as well as all the RAU team, covet your intercession! I will give greetings to our loved ones here from you! Blessings to you, all your family, and to our dear Lifegate family!! Jacob this is such a blessing and a GLORIOUS EVENT. We have watched the progress and prayed for you and RAU. 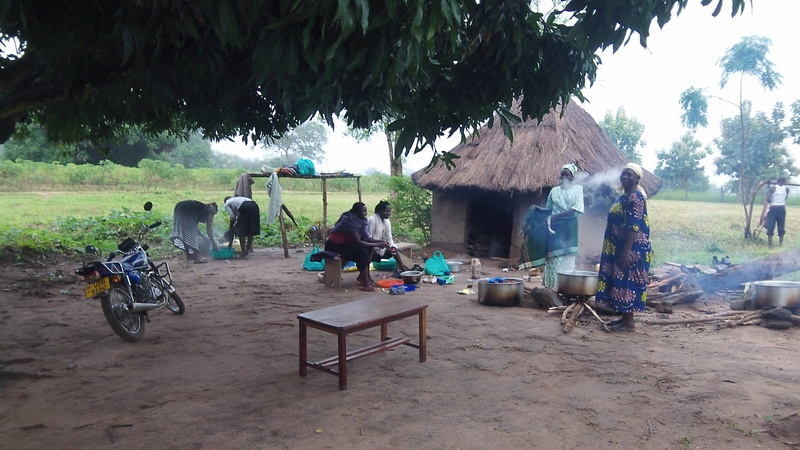 Praise God who gives you and Carol the wisdom, courage and knowledge to go into the bush of Africa and share the Good News of Jesus Christ! Hallelujah! Thank you Jerry for your words of encouragement and especially your prayers. The Lord has gone before us, is with us, and will continue to lead and guide us. Please continue with your prayers…thank you!!! 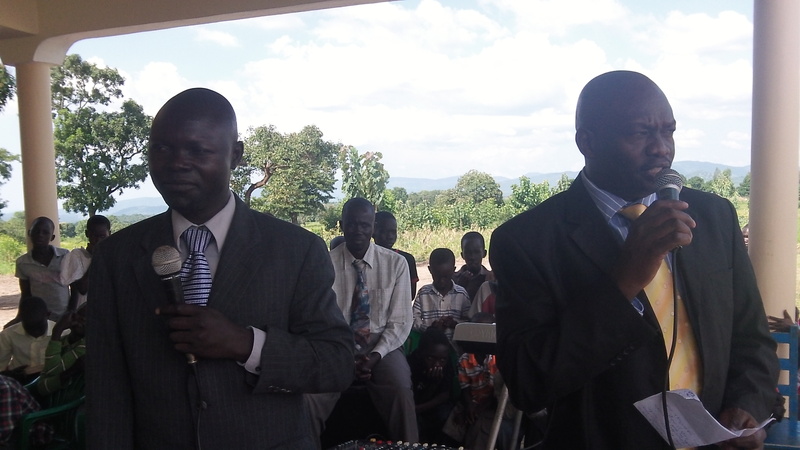 Jacob, I am extremely happy that God has sent a church planter to Northern Uganda most especially Moyo. I live in England but I am originally from Arua which is a sister district to Moyo and I have been praying for the gospel to reach the un reached people I left behind and here I am seeing you do something that only the Sovereignty of God would ordain. I’m praying for you and Carol plus the team on the ground. 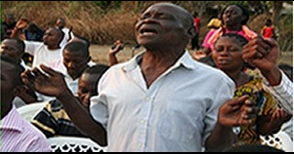 Before people used to say, ‘can anything good come out of Moyo’ but now every one is silent as we ponder what God is doing in the hearts of the un reached in Moyo and marvelling ‘This is the Lord’s doing and it’s marvellous in our eyes’ (Ps 118:23)! To actually get to see the dedication of the guesthouse is truly a miracle. For so long, it seemed so far away. But now Jacob and Carol are actually living there and beginning a ministry which will bless so many! Jake and I shared his vision for so long; I listened intently many times and felt his excitement for what one day would become a reality. I watched as each “impossibility” and hurdle was destroyed and the plan itself remained with glowing promise. This is truly proof that “with God nothing is impossible”. I miss my dear friends; but when I see the light of Christ in their smiles and know that they are safe and fulfilled, I know that they are precisely where God wants them. See you at Christmas, Carol and Jake. Bring me a present………..as long as it is the two of you!! Yes, God has brought it about and He is to be praised. Thank you for standing with me and praying with me for years concerning this vision Lester. I pray that these facilities will be used for God’s glory generation and generation until Christ’s return!